Soft And Loud Melodies From Andy Klingensmith And Glenn Robinson | Pop That Goes Crunch! Today’s reviews feature two albums from very different ends of the spectrum that nevertheless should both find their way onto the music device of any discerning fan of melodic pop and rock ‘n roll. 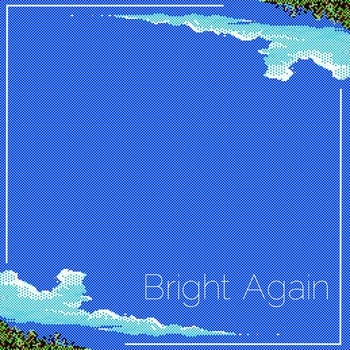 Andy Klingensmith, Bright Again: Klingensmith significantly ups the ante over 2013’s Pictures Of on this six-track EP intended to “bridge” his first two full-length releases. Although Klingensmith’s stunning, multi-tracked vocals and acoustic guitar remain at the forefront like they did last year, he also plays bass and keyboards on Bright Again while Riley Smith adds drums and Jay Gummert contributes subtle flutes and clarinets. There is nothing at all fleeting or half-baked on this “bridge” EP. The songs are rich and complex, and the arrangements yield a number of surprises that will keep your finger reaching for the repeat button. In all respects, Bright Again exceeds Klingensmith’s stellar debut in both reach and grasp, and points to even bigger and better things from him in the months and years ahead. Its available as a “name your price” download, right here. 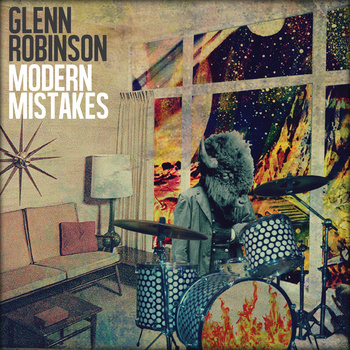 Glenn Robinson, Modern Mistakes: Twenty seconds into this debut solo project from Robinson — a drummer in many Rhode Island and Massachusetts bands over the past decade-and-a-half — and you know exactly where he is going. Its fast and loud, featuring driving guitars, propulsive percussion and ferocious vocals. Its anchored throughout by Robinson’s keen feel for melody, making the ten brief tracks on Modern Mistakes fly by in couple of a head-bopping moments. Modern Mistakes breaks no new ground, but Robinson did not set out to blaze any trails. Instead, he delivers twenty-seven minutes of ear-to-ear aggressive melodies to liven up your day. You can download Modern Mistakes for $5, right here, or get a CD for $10 from Kool Kat, right here.